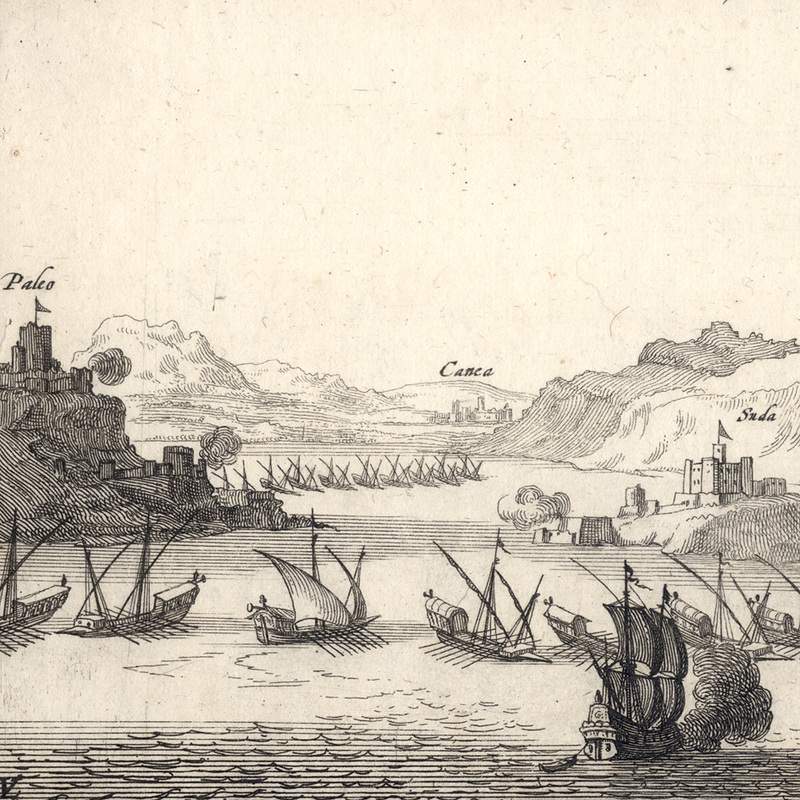 “Porta Suda Paleo in Candia”, c1665, after the design by Jan Peeters I (aka Johannes Peters) (1624–c1677), from the series of ten plates featuring Mediterranean islands, “Insula di Candia del Mare Mediteranea”, published by Gaspar Huberti (aka Gaspar Huybrechts) (fl. 1685–1724) and later by Jacobus Peeters (1637–95). 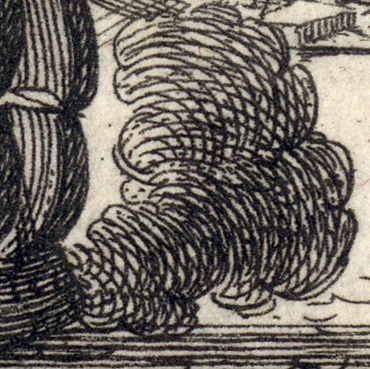 This impression is from the first state of the print before the published editions by Huberti and Peeters. Etching on laid paper trimmed along the platemark and lined onto a support sheet of fine washi paper. Inscribed within the image borderline: (centre of the left side) “Paleo”; (left of centre) “Canca” and “Suda”. Monogrammed within the image borderline at lower left corner: “VL”. State i (of iii?) My attribution of this print to the first state is based on the lettered details that match the first state impression held by the BM (no. F,1.120) before the lettered production details of Gaspar Huberti (see BM no. 2AA+,a.43.82) and Jacobus Peeters (see BM no. 2AA+,a.43.80). 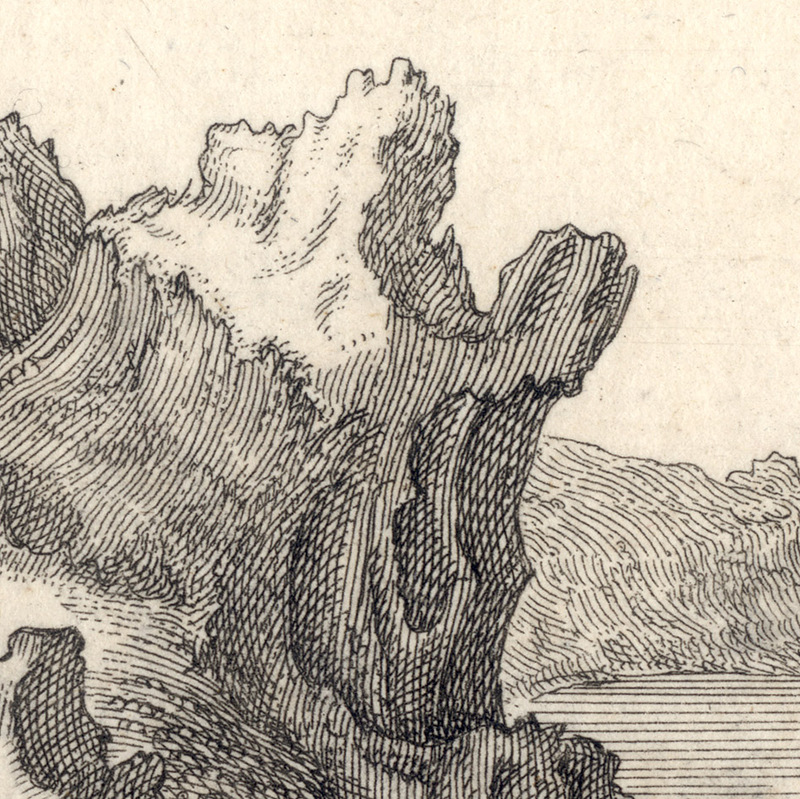 Condition: richly inked and crisp impression in near pristine condition. The sheet is trimmed along the platemark and has been laid onto a conservator’s support sheet. 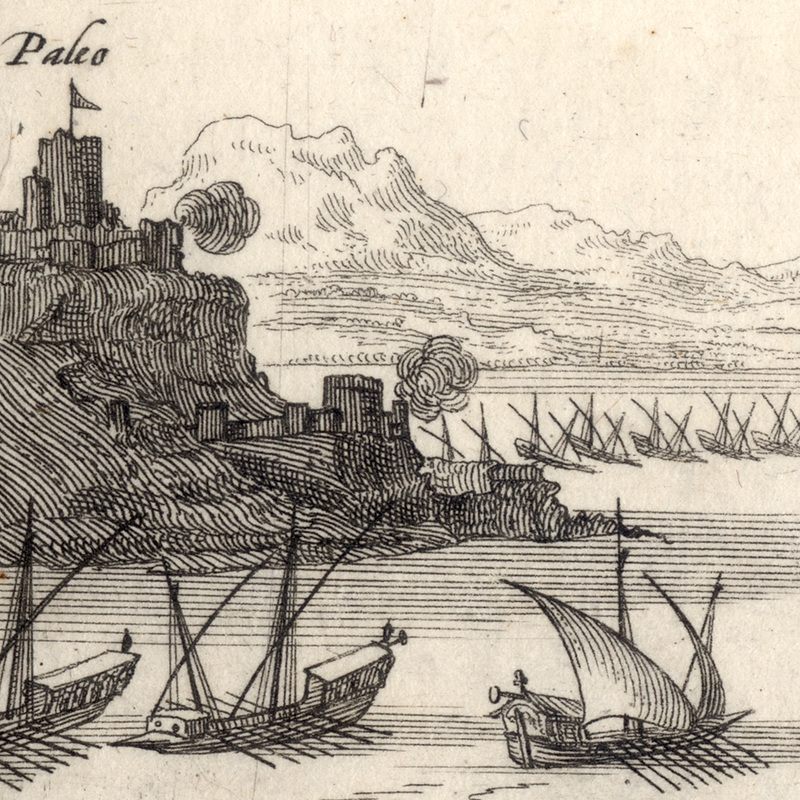 If you are interested in purchasing this marvellously detailed depiction of the naval battle in the harbour of Heraklion (Crete) and, interestingly, shows cannon fire from the fortress of Paleo Castro—a place that I understand is now only in ruins—please contact me (oz_jim@printsandprinciples.com) and I will send you a PayPal invoice to make the payment easy. I’m presently experiencing one of those moments when my brain tells me one thing but reality tells me another. The issue for me right now is that I know—or rather I think that I know—that I have another variation of this same scene. Hopefully I can find it and feature it tomorrow night. 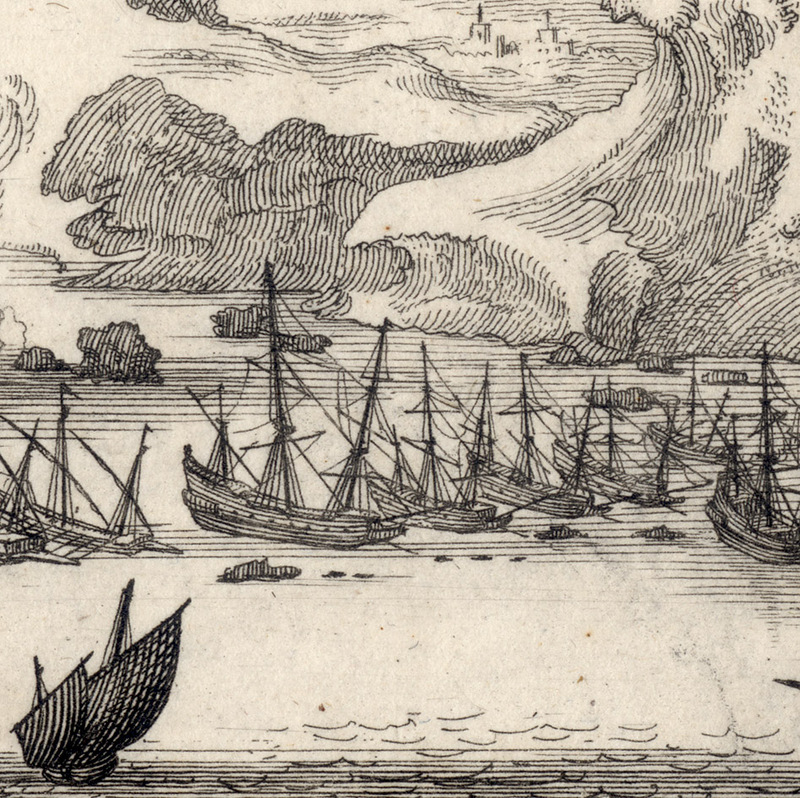 Regarding this image, what is missing in the BM’s account of what is featured here is far more than “a row of ships in foreground, the Souda island with harbour at centre” (see BM no. F,1.120). 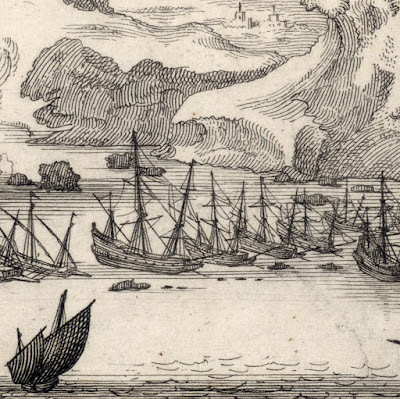 What is REALLY going on here is a battle in the harbour of Heraklion in Crete. On the left, the fortifications at Paleo Castro (inscribed, “Paleo”) are enlivened with puffs of smoke from the cannons firing on the attacking ships which are clearly responding with their own puffs of cannon smoke. 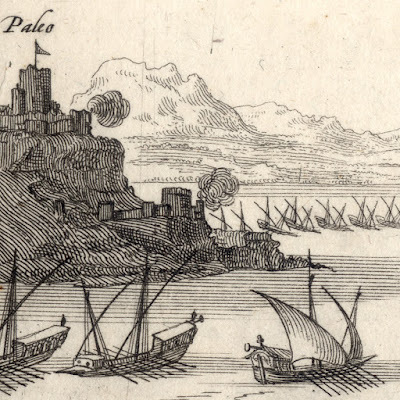 From what I understand (based on information gleaned from http://www.cretanbeaches.com), the Fort of Paleo Castro was originally built by the Venetians to protect the harbour. Interesting the fort was soon abandoned and was in ruins well before 1668, according to the Turkish traveller Evliya Celebi (1611–82). 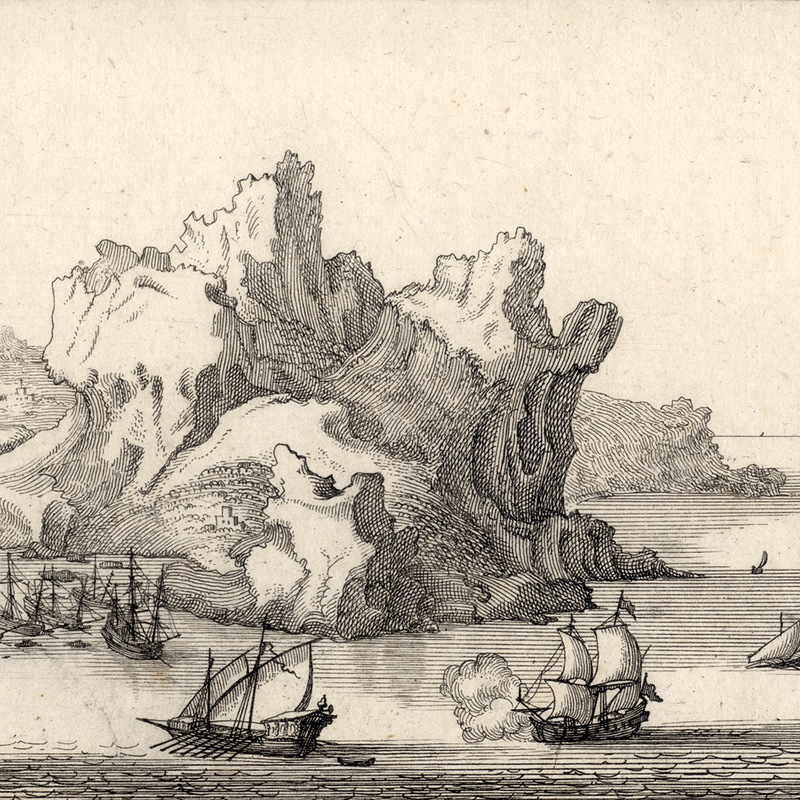 This means that Vorsterman II’s etching which was executed circa 1665 shows the final days of the old fort.